Your Achilles tendon, the largest tendon in your body, runs down your calf and into your heel bone. Because you can easily injure your Achilles tendon, it’s important to visit the podiatry team at Great Lakes Foot and Ankle Institute PC if you experience pain and soreness in your calf. Call your nearest location in Chesterfield, Clinton Township, Fort Gratiot, East China Township, Shelby Township, or Rochester, Michigan, to book your Achilles tendon exam. You can also request an appointment online. You can even tear or rupture your Achilles tendon by landing incorrectly after jumping. If you start experiencing signs and symptoms of an Achilles tendon injury, including tendinitis, you need to seek medical intervention before your condition progresses. Hearing (or feeling) a sudden popping at the time of your injury can indicate that you ruptured your Achilles tendon. But no matter how minor or how severe your Achilles tendon injury may be, the dedicated podiatry team at Great Lakes Foot and Ankle Institute PC can find an effective treatment solution. If your Achilles tendon is ruptured, if you have chronic Achilles tendinitis, or if you’re just not getting relief from conservative therapies, you might need surgery. Achilles tendon surgery involves grafting tissues, repairing your Achilles tendon, lengthening your calf muscles, or removing damaged tissues or spurs. 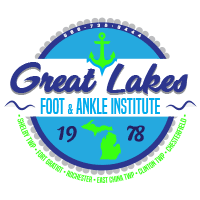 Because the team of expert foot and ankle surgeons at Great Lakes Foot and Ankle Institute PC have extensive experience with minimally invasive Achilles tendon procedures, they can help you get back into your routine, exercise regimen, and even sporting activity, with few to no limitations. The team at Great Lakes Foot and Ankle Institute PC can help you recover from Achilles tendon discomfort. Book your exam online or over the phone with your nearest office.